For the first time since mid-April UKIP has dropped below the LDs in fourth place in the YouGov daily poll. At the same time Labour continues to advance and today’s share and recent results suggest that the party is benefitting most from UKIP going off the boil. This is just one poll from one pollster but today’s finding reflects a trend that we’ve seen in recent days. My view is that since the blitz of coverage following the May 2nd local the focus has waned and that might impact more with pollsters like YouGov which don’t put the purples on their opening voting intention question page. Instead respondents have to tick “some other party” before they get the option. When I first saw Osborne’s pre-sending review statement Tweet with a picture of himself at his desk eating a burger it looked like a mistake. It was just too contrived and in any case the Chancellor is always going to have a battle convincing us that he’s a man of the people. “The Chancellor tweeted a snap of himself â€œfinalisingâ€ work on his spending cuts over a burger and chips. But it was a gourmet meal from a trendy diner with a price tag of up to a whopping Â£9.70. The Sun can reveal the burger Mr Osborne scoffed at his Treasury desk came from new chain Byron. Remember this is the front page lead from Britain’s best selling newspaper. The message, surely, is to be ultra-careful about this sort of thing because the potential for it backfiring is huge. The other papers are what you’d expect though I guess the FT is not as helpful as Osborne might have hoped. The thing that struck me most about Osborne’s spending review statement was how little it had to do with the economics and how much it was about setting the political backcloth for GE2015. In this, of course, you have to remember that as shadow chancellor, first under Michael Howard and then under Cameron, Osborne sat across the chamber from Gordon Brown – the past-master of making everything political. Firstly there was no need to have a statement at all at this stage. It could have waited at least a year but Osborne’s objective was creating elephant traps for Ed Balls who knows more than anybody else how the Brown Chancellorship worked. I switched off my initial notion that this was a serious statement when almost at the start Osbo used that appalling Brown cliche, “hard-working families”. Then we went into all the attacks on Labour’s and Ed Balls’s record which we’ve heard so many times before that they are starting to lose their potency. A much quieter speech with less of the political rhetoric and much more of the economic analysis was what the occasion demanded. 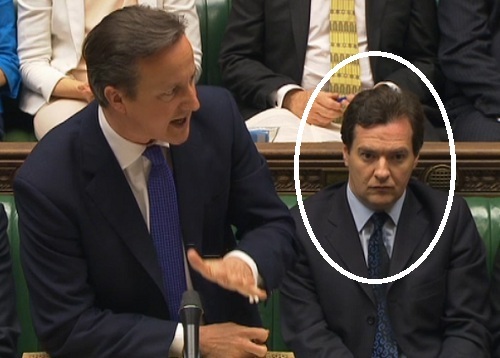 Osborne comes over as too political for his own good – for as soon as as people start thinking that then he’s failed. He’s just another politico trying to hang on to his job. All this is offset by the fact that his opposite number, Ed Balls, is precisely the same. But does politics have to be like this? Watch the live ABC stream here. Time to look at UKIP seat betting? As has been highlighted a fair bit recently UKIP have a real challenge converting the substantial poll shares now being reported into seats because of the way the first past the post system operates with the smaller parties. Now Martin Baxter of Electoral Calculus has published a revised approach to calculating how many MPs UKIP will win at different GB vote share levels reducing the projected threshold from 23%+ to just 16%. The full Baxter article looks in detail on the reasons why the system is so challenging for Farage’s party. Two months ago I got a three figure bet on at 8/1 William Hill that UKIP would win more than one seat at GE2015. That price is no longer available but you can now get 2/1 that they’ll win 1-5 seats and 5/1 that it’ll be 5+. Baxter could be influential and my guess is that we’ll see the prices tighten. If you’ve always been a lurker, why not delurk tonight, no one will think You’re So Vain for delurking. Can you spot the flaw in Theresa Mayâ€™s logic? Alex Massie says Most opinion polls are junk: blame the ignorant general public for that. Meet Duggy Dug, the Dog that’s going to be responsible for Scots voting for Independence next year. It’s not often that apparently long-term political bets come good very quickly and the bookies pay out. Last Thursday I urged everybody to get on 3/1 that Ladbrokes was offering that George Osborne would be called Jeffrey in the Commons before the end of the year. As it turned out someone did call Osbo just that before Ladbrokes had got their market up and quite rightly that was not counted. But today at Treasury Questions Labour’s AB’s Anas Sarwar also used the Jeffrey word, which Obama had mistakenly called Osbo last week at the G8 meeting, and the bet became good. Good on Ladbrokes for settling the market so fast.